Showstoppers Aditi Rao Hydari and Kunal Kapoor showcased the Shoppers Stop private brand segment while glamorous models Anchal Kumar, Sucheta Sharma, Sony Kaur, Arshia Ahuja, Anita Kumar and more strutted the students’ fashion-forward designs at the glittering event in Mumbai. Shoppers Stop Designer of the Year 2017 is the industry’s most prestigious platform to recognize and reward budding fashion design students. 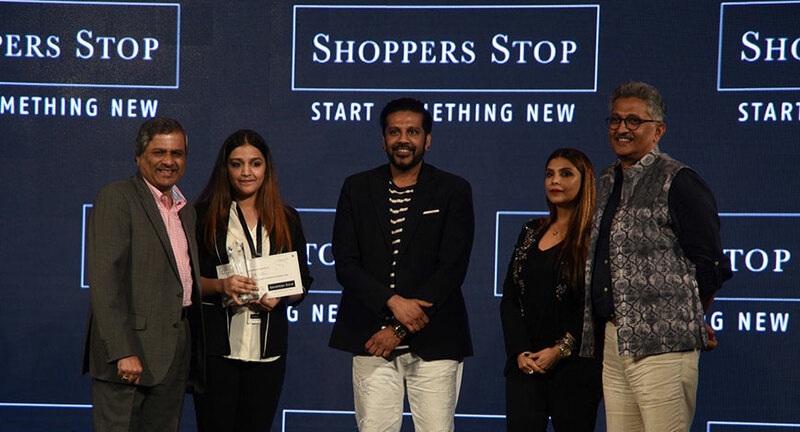 Shoppers Stop partnered with India’s leading fashion design institutes and colleges to discover the country’s foremost fashion design aspirants. Out of 700 applicants, 13 students were shortlisted for the grand finale where they showcased their designs across 4 categories – women’s Indian-wear, women’s western-wear, athleisure and accessories. The top 13 finalists included Adiba Zaidi, Alka Bishnoi, Bhoomi Desai, Chitra Lal, Jaspreet Cibbar, Krusha Gala, Monika Sharma, Neha Pandey, Priyanka Kalita, Saikat Mondal, Shrishti Kushwaha, Vijendra Dubey, and Vivek Mishra. The Shoppers Stop Designer of the Year 2017 winners will get the once-in-a-lifetime opportunity to retail their collection across select Shoppers Stop stores exclusively for Shoppers Stop’s private and exclusive brands. The runners-up will get a chance to intern at India’s leading fashion retailer to hone their design skills.